The following is a lesson plan for an Entrepreneurship class. It will include a prezi with videos, a self assessment survey, worksheets, the lesson plan, and a praxis paper. By the end of this lesson students should have a better understanding of their own entrepreneurial potential and an assessment of their enterprising skills. A better understanding of the realities of owning a business and gaining some factual knowledge of the difficult journeys to success of some well know names. Understand the common misconceptions and realities of owning your own business. Complete their own personality quizzes evaluating their personal characteristics and reflecting on the results. Understanding the basics of where to start, when starting a business. Understand the most common misconceptions of owning your own business. Ex: Business owner = Easy money and making your own hours. Better understand the reality and what it takes to own and run your own business. Understand the concepts of entrepreneurship and successful entrepreneurial characteristics and traits. Understanding the basics of and how to create a business plan. Have students fill out the first two sections of the KWL Chart. Please follow the link to measure potentiality to be an entrepreneur. Click the link below or in the prezi. Have students offer ideas on how they would go about starting a new business. Tell students they are going to work in teams to develop ideas for a new business. Review the ideas with an ethical standpoint in regards to social justice. Evaluate each business idea in regards to more profit vs. what is best for the consumer. Have each team present its idea. Let the class vote to narrow down the final number to three. 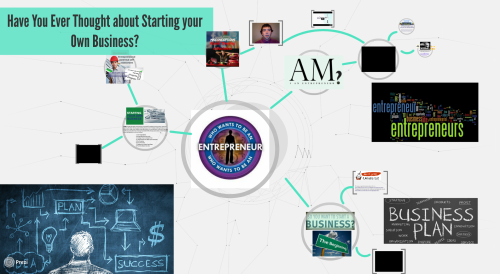 Have students draw up general questions about entrepreneurship. a) Encourage students, in planning a new business, to think beyond the usual occupations. 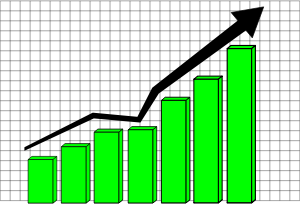 b) Explain the tips for growing a successful business. Visible and clear written instructions. Collect the worksheets and give feedback in the next class. What did you think about the activity and the questions it asked? Did any questions stick out for you, why? How do you think it helped to improve your recognition of your entrepreneurial traits, motivations, aptitudes and attitudes? Were there any results that surprised you? Will you make any changes based on what you discovered about yourself? What do you think is your best entrepreneurial skills? Have students fill out the quiz online if you have computers and give them the handout bellow. Afterwards put them in small groups. The quiz and hand out is meant to get the students to realize some of their strengths and weaknesses but also it is a starting point for a discussion. Put them in small groups and have them talk about what they learned about themselves. Also, they could pick some people they personally know who are successful and try to identify their strengths and make some direct relevant connections to entrepreneurial skills they have learned. Have students fill out the last section of the KWL chart. Fill out the quiz online and print out the results. Review the list from the video below then write what you’ve learned about yourself in regards to what may have surprised you in the list, your strengths or weaknesses. Do you have passion, perseverance, and persistence – in the everyday things you do, your job, sports, hobbies. You don’t take no for an answer. You’re a self starter – maybe you see the bigger picture to things that need to be organized and you take them on without anybody asking you to, you just do it and you do it well!! Strong people skills – listening carefully and know when to stay silent. Most importantly, you’re not afraid of making mistakes and you deal with failure head on and keep going. Browse the list and find two people who overcame similar rejection/failure at first and write it in the middle of the two circles. Each in their own circles, write their names and what they do now. Explain in your own words what you learned about overcoming failure, rejection, and resistance. If you really believed in something, how do you think you would overcome resistance? What would you do? What would you say? Language across the curriculum has brought up many ideas, theories, and practices that can be used to try to teach students about literacy in the classroom. This varies from reading, writing, studying, and gaining a general understanding of the material. Our content area literacy textbook has offered a wide variety of theories that we have included in our multiliteracies assignment such as schema, and scaffolding. Upon deciding what we should use for our multiliteracies project we determined that the best way to begin would be to start with the KWL strategy. This strategy would allow for us to first see where the students are at and try to get a general sense of where they want to end up. In theory when a teacher brings up topics that students are actually interested in they are more likely to be engaged and want to learn. By knowing what they already know we can rush through the information that they already know, briefly review it, or even skip it all together. This gives us more time to focus on material that they don’t yet know and primarily the stuff that they want to learn. After the class is complete we as the teachers can review what they have learned and determine what they still need to know so that we can follow up with that then at the end of class time permitting or continue with the topic in the following class. This strategy capitalizes on schema theory as we are determining what the students know and allows us to use that to help with teaching what they don’t know. The primary theory that we were able to capitalize on with this project is instructional scaffolding. We will be providing students with the necessary supports that they need to attempt new tasks. The new task that they will be learning is how to start up a new business of their own. Scaffolding comes into play through the use of our questionnaire. Students will be able to use this 50 question sheet to help them determine if they covered every avenue, and thought of every aspect required to start up their very own business. Coming up with the ideas of what to sell is one thing but ensuring that students do everything that they should to begin their business is what this is all about so we have geared them up with this question sheet to help guide them to achieve their goals. Not only this but it might also bring about new questions about how to go about doing something which gives them additional topics to add in their KWL sheet under what they still need to learn. We believe that using these theories and strategies we can ensure quality learning is achieved amongst the students and that they will be able to achieve a solid understanding of how to create their own business. There is no better learning in the classroom than that which can be transferred to real world situations.